10 Best Refinance Rates: What Is A Rate-And-Term Refinance? For most American homeowners, the costs associated with homeownership make up the largest portion of their spending. Along with monthly mortgage payments, they must pay taxes and insurance. Updating their homes and fixing serious problems like broken plumbing and roof repairs can leave them strapped for cash. It's no wonder that so many homeowners go searching for the best refinance rates. Refinancing can help homeowners accomplish several goals. The primary benefit is often a lower monthly payment. Borrowers can also use a refinance loan to access the equity in their home. Achieving these goals can make the household budget more comfortable. Those with the extra room in their budgets may refinance to pay off their loan faster. When considering a refinance, it’s important to define what your goal is and ask if the loan will accomplish what you set out to do. Sometimes it's getting the best refinance rates. Other times it's getting the best rate with some cash for home repairs. Though finding one of the best refinance rates is important, it’s also important to consider getting the best refinance rates for the loan that will accomplish your goal. For example, if a cash-out refinance is your goal, you may have a higher rate than if you took no cash out. But since you could achieve your goal, the right choice would be between the best refinance rates for a cash-out refinance. 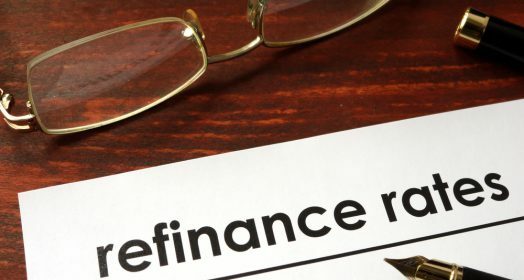 Below we provide a synopsis of different types of refinancing, a look at the best rates for refinancing, and a more detailed look at 10 top lenders to help narrow the field in your search. 1. What Is a Rate-and-Term Refinance? Rate-and-term refinances adjust the mortgage length, interest rate or both. Homeowners accomplish this by taking out a new home loan and paying off the existing mortgage with the proceeds. The borrower receives no cash at the loan closing. Homeowners often shop for rate-and-term refinances to find the best refinance rates. The best refinance rates can save thousands over the life of a loan. Borrowers may also refinance from an adjustable-rate mortgage to a fixed-rate mortgage and vice versa. In most cases, borrowers take out a new, 30-year mortgage, which extends the total time to pay off the mortgage but substantially reduces monthly payments. Occasionally, borrowers refinance into shorter term loans in order to speed the equity-building process. 2. What Is a Cash-Out Refinance? A cash-out refinance provides borrowers with cash at the loan closing. Borrowers can opt for cash that is a small portion of their equity or all of their equity. However, a borrowers credit score will sometimes affect how much they can take. Cash is often used for home repairs, to pay off high-interest debt or for an emergency. The rates and terms of the mortgage are also reset, so a borrower can receive the same benefits as a rate-and-term refinance, though payments often increase because the equity taken out is added to the loan balance. 3. What Is a Debt-Consolidation Refinance? Debt-consolidation refinances are like cash-out refinances except that the borrower agrees to make certain debt payments as a condition of receiving the loan. Rather than taking cash and electing what to use it for, the borrower receives checks that payoff certain loans at the closing. High-interest credit cards are the most frequent debts repaid, but other loans, such as payday, title, and auto loans may also be included. 4. What Is a Subprime Refinance? Many debt consolidation refinances are considered subprime. Because the borrower is in the high-risk category, banks are unwilling to provide cash unless it is used to pay off debts. Paying off debts reduces the borrower’s liabilities and makes the borrower a better credit risk. Many subprime clients opt for refinancing because they can save on interest payments and reduce the monthly payments on all of their debt. However, the cost of their mortgage may increase. 5. How Much Does It Cost to Refinance? Refinance fees vary, but usually include application, appraisal, inspection, closing, title and insurance fees. Depending on the geographic area, bank and loan program, these fees generally range between $1,500 and $4,000. Some loans include an origination fee. Origination fees can be up to 1.5 percent of the loan value. Some borrowers opt for points. Points are an added fee that buys down the interest rate. 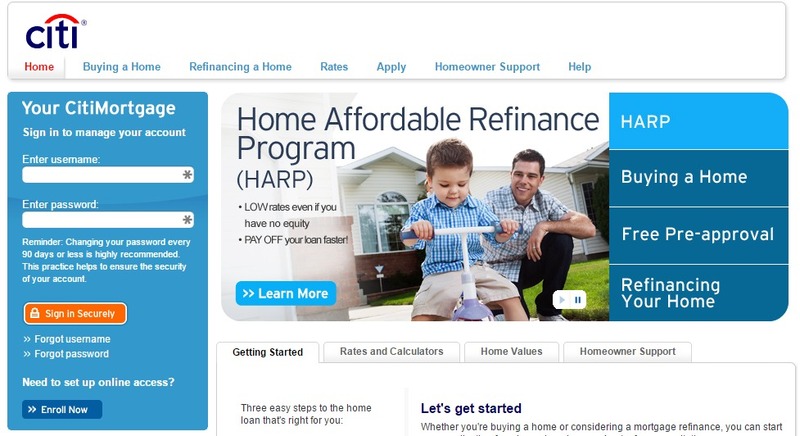 Shopping for the best refinance rates can be intimidating. There are so many lenders and loan programs. To help you navigate the best refinance rates, we've created a comparison of ten top loan companies. All companies listed have high marks for customer service and offer conventional loans. Many also provide FHA, VA, USDA, and subprime refinancing. We show the best refinance rates for conventional loans. Be sure to read the lender comparison as interest rates aren't everything. Lenders have different fee structures, loan-to-value (LTV) requirements, and application processes. Interest rates for 30-year, fixed-rate, conventional loans for those with good to superior credit scores range from 4.75 to 4.99 percent. It's important to note that fees add to the annual percentage rate (APR) and increase the actual rate. The actual rate is often higher than the APR because it factors in fees. To compare loans, it's important to use the actual rate, including fees. Better Mortgage offers this interest rate on a 30-year, fixed-rate mortgage. The loan comes with a 30-day rate lock and no prepayment penalty. Better Mortgage provides attractive loans to build its customer base. The company launched in 2016 and has already surpassed $1 billion in loan originations. The example rate is for a borrower in the 60189 zip code with a credit score between 720 and 739. The borrower has a loan amount of $220,000 and an LTV ratio of less than 80 percent. Because of the low LTV, no mortgage insurance is required. The principal and interest payment is $1,148. With lender fees of $923 included, the actual rate comes to 4.786 percent. Third party fees are additional. 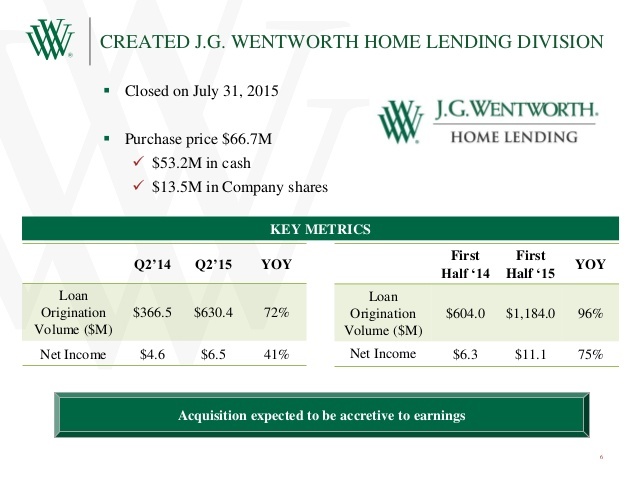 This Irvine, California based lender is angling for a bigger share of the refinance market. To compete, it offers this great fixed rate along with $0 fee options. This rate is for a 30-year, fixed-rate loan and assumes a good credit score. The company offers award-winning service that includes a free rate-watch option. 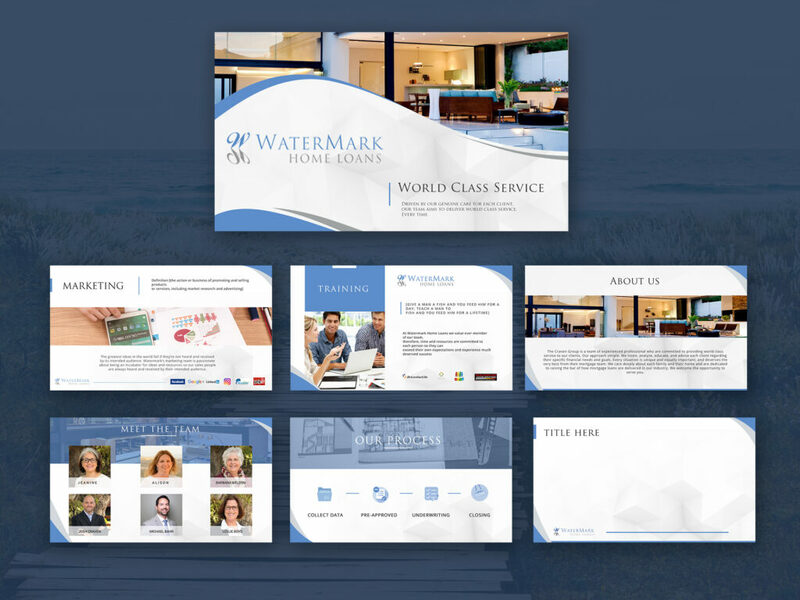 The rate is one of the best, and the $0 application fee makes Water Mark Home Loans a risk-free option. Santa Ana, California based Loan Lock provides this 30-year, fixed-rate loan to well-qualified customers. The company services its own loans, so its underwriting process is in-house and fast. 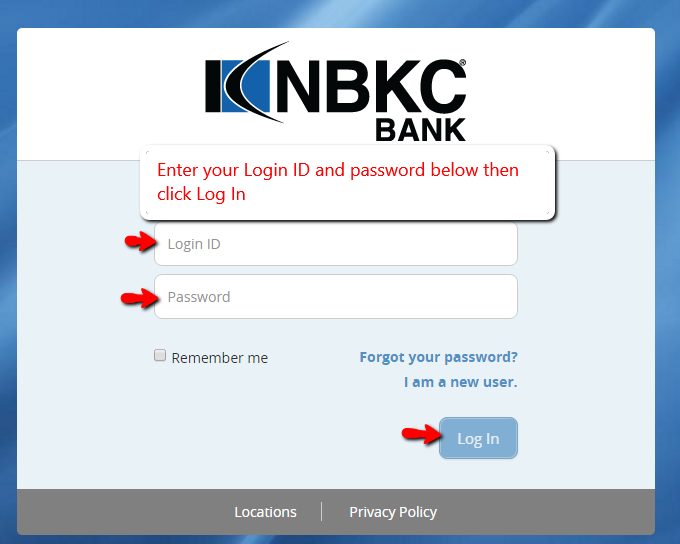 Customers can upload their loan documents to lock their interest rate. The company offers many loan options, including shorter terms, jumbo loans, and ARMs. The interest rate is great, but fees may increase the actual rate. 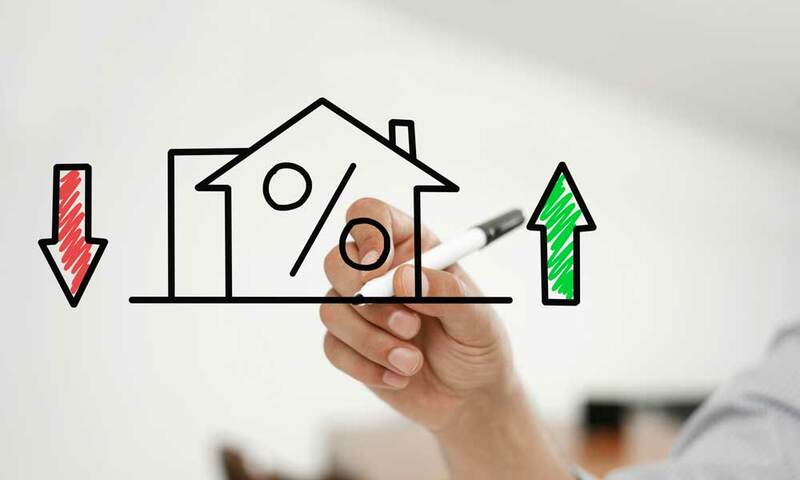 It's important to compare actual rates, including fees when shopping for a home loan. To see if you qualify for this excellent rate, connect to the company’s website and complete the 30-second application. Besides convenience, this Kansas City-based direct lender provides each customer with a dedicated mortgage banker to help them navigate to the best refinance rates. Lender fee estimates are $1,076, which raises the actual rate. The fees may be worth it if you find the right loan program. Click Lending makes online loan shopping simple. From the comfort of your own home, you can shop for conventional, fixed-rate loans like the 4.8 percent quoted rate. Click Lending also offers alternative loan programs. 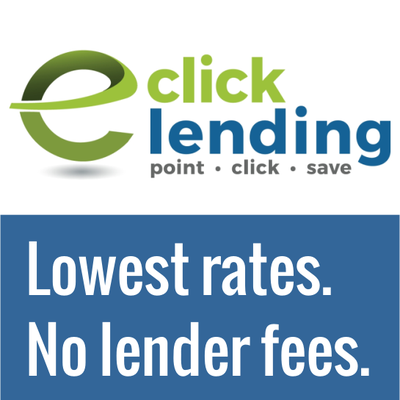 Click Lending offers competitive rates and fees. Include fees with the APR to get an apples-to-apples comparison with other loan options. CitiMortgage provides this competitive rate for customers with good credit on 30-year, fixed-rate loans. This bank is one of the few to offer 40-year loans. A 40-year loan may come with a different interest rate, but it will save the borrower on the monthly payment. In addition, CitiMortgage accepts alternative credit data for borrowers with strong credit. It also accepts a 50-percent debt-to-income ratio in many cases. Competitive rates and terms need to be balanced against the $100 application fee and a $915 to $1,115 commitment fee. This rate is just one of the competitive 30-year, fixed-rate mortgage options from Guaranteed Rate. This company, which started in 2000, has gained a large market share by providing some of the lowest APRs on 15- and 30-year fixed-rate mortgages. Guaranteed Rate also has one of the lowest LTV requirements, at 2.25 percent. 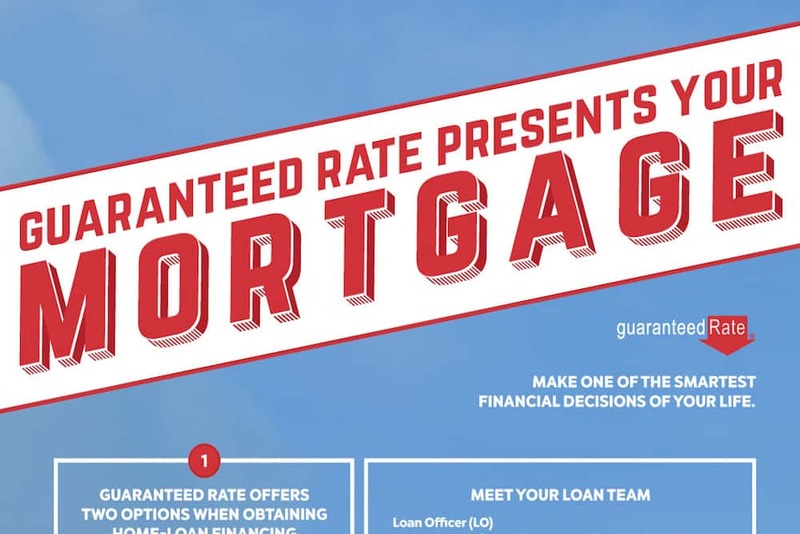 Guaranteed Rate provides low-interest rates, but with the origination fee and other added costs, it's important to look at the actual rate with fees included. 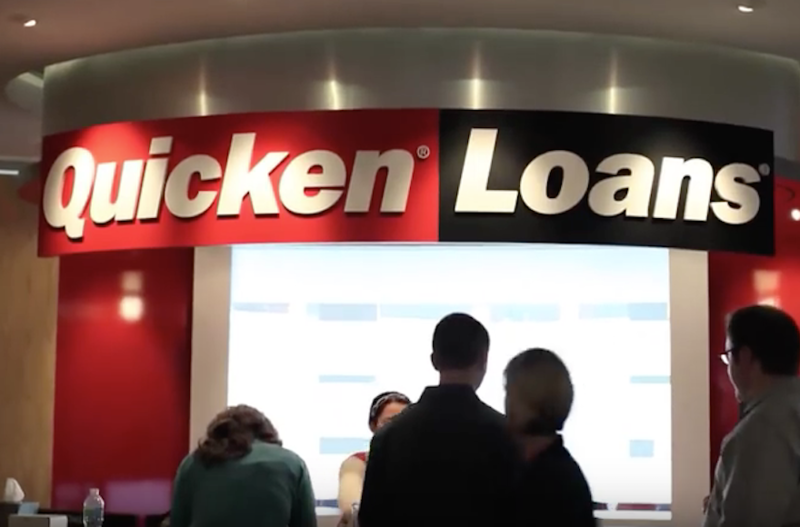 Quicken offers this competitive rate on a 30-year, fixed-rate mortgage with no lender fees. 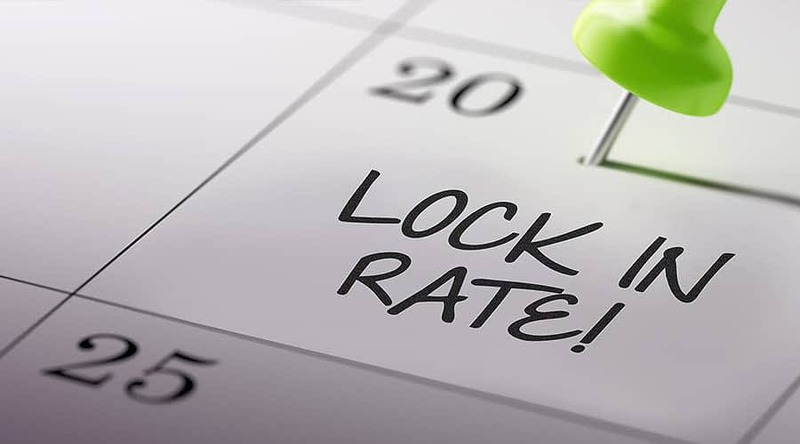 With a 45-day rate lock, Quicken is a safe bet for those who need more time before closing. Quicken also makes it easy to shop and compare rates online. No fees and low rates are great. It's important to also consider non-lender fees, such as appraisal fees. J.G. Wentworth became famous for its cash now commercials. 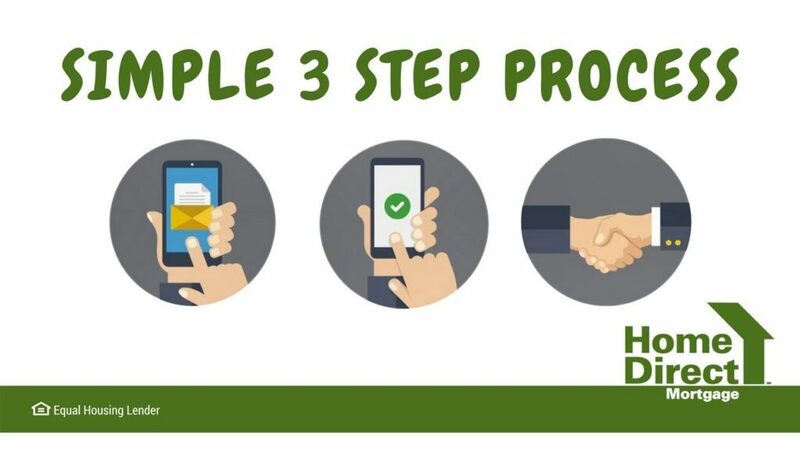 Now customers can get their mortgage application completed online or through a dedicated representative. The low rates and no fee refinances make this lender popular as does the 60-day rate lock. When low rates and low fees are the primary benefits, it's always important to check the actual rates by looking at the whole picture. Non-lender fees can change the picture. This Kansas City-based lender goes by the motto, "Live boldly, bank simply." It lives up to that motto with simple loan applications and rapid approvals. It provides low rates and low lender fees. The $675 lender fee is small enough to make the actual rates for the loan competitive. Guaranteed Rate gets our overall top rating for conventional refinance. Its quoted rates are consistently the best refinance rates. The company also has a strong customer service department and its 45-day rate lock makes life easier for the customer. The J.D. Power rating of 5 out of 5 shows customers are satisfied. Quicken Loans deserves an honorable mention for its overall value and ease of doing business. In the end, the choice of lender comes down to which one provides the best option for your circumstances. One lender may serve you better if you need a conventional loan while another may provide a better VA loan package. The key to comparing the best refinance rates is looking at the APR along with all the associated fees.